Crime in the county is starting to rise, with the blame being put on people being unable to afford every day groceries. Northumbria police and crime commissioner Vera Baird believes there is growing evidence to suggest a new hike in crime is down to the impact of poverty and welfare reforms. New figures show that in Northumberland between April and September there were 5,499 crimes reported, an increase of 16 per cent on the 4,744 crimes committed last year over the same period. And Mrs Baird has put down the rise to “poverty related crimes”. Speaking at a Police and Crime panel, she said: “It’s shoplifting for food, for nappies, for baby food, and it has to be said this is poverty related. “In a broader sense, it is people who are used to being able to buy something and now they can’t. “We are seeing a trend here, of some people stealing what they used to be able to pay for. Mrs Baird said another reason behind the rise in crimes was the ease at which people could sell stolen goods, such as auction websites. She said: “It is just very easy now to sell stolen items like bikes and lawn mowers, to just put them on eBay and no one asks where they are from. 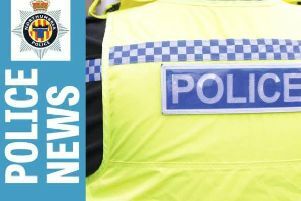 The latest figures show Ashington has suffered the biggest increase in total crimes with a rise of 32 per cent – from 944 to 1,242 so far this year – with a 41 per cent rise in burglaries, from 140 to 197. In Cramlington, there has been a rise of 145 per cent in burglaries other than dwellings – 71 offences this year compared to 29 – but vehicle offences has dropped from 60 to 46. In Blyth, there has been a ten per cent rise in total crimes, an increase from 901 to 987, while in Bedlington there has been a seven per cent rise, from 549 to 588.